Montenegro’s government said on Friday that the United Nations Commission on International Trade Law (UNCITRAL) arbitration tribunal dismissed all claims of Cyprus-based Central European Aluminum Company (CEAC) against the country. The decision finally confirms that Montenegro has not breached the settlement agreement, but on the contrary, it is precisely the CEAC that has violated its obligations under the contract, the government said in a statement. In a separate statement on Friday, CEAC said it was disappointed with the "neutral" decision of the tribunal. “We feel vindicated by two key elements: firstly, that the tribunal found that Montenegro failed to pay 8.72 million euro ($9.26 million) in electricity subsidies owed to KAP, and secondly, that the tribunal did not dismiss major aspects of our claims regarding Montenegro’s breaches of its duties and bankruptcy law, but said that these claims fell outside of its jurisdiction," CEAC’s director of corporate affairs Andrey Petrushinin said in the statement. Montenegro’s own civil and corporate law is not sufficiently developed to provide solutions to sophisticated questions such as the case in question, Petrushinin added. In its ruling the arbitral tribunal states that the CEAC is obliged to pay 259,000 euro to Montenegro for breaching investment obligations and another 29,000 euro for breaching the obligation to submit an annual investment report, the Montenegrin government said. CEAC filed for the arbitration proceedings in November 2013 in a dispute with the Montenegrin government over investments made in aluminium smelter Kombinat Aluminijuma Podgorica (KAP). 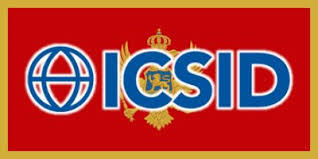 The Cyprus-based company had already lost an arbitration against Montenegro before the Arbitration Tribunal of the International Centre for Settlement of Investment Disputes (ICSID) in July 2016. CEAC was established in 2005 to manage the aluminium business interests of Russia’s En+ Group, owned by billionaire Oleg Deripaska, in Central and Eastern Europe.